Endless talk about the Volcker Rule and the Pay Czar has caused people to speculate for a while that there will be a big trader exodus from Wall Street to hedge funds.That may be happening..
Six head traders from Morgan have left this year to go work for hedge funds. The latest is Marcin Wiszniewski who will head up the BlueCrest Emerging Markets Fund with around $500 million in assets under management. HedgeCo.net: Wiszniewski was co-head of European foreign exchange and emerging markets at Morgan Stanley, previous co-heads who have left Morgan Stanley include Bart Turtelboom and Karim Abdel-Motall who were hired by London hedge fund firm GLG Partners. 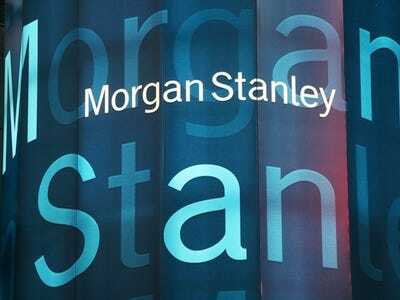 Wiszniewski is the fourth Morgan Stanley senior trader to leave this year, the newspaper reported. Eric Cole is moving to hedge fund Appaloosa Management. Ahsim Khan is set to join Europe’s largest hedge fund firm, Brevan Howard. Geoffroy Houlot has already left in January to join the $30 billion hedge fund, the Wall Street Journal said.